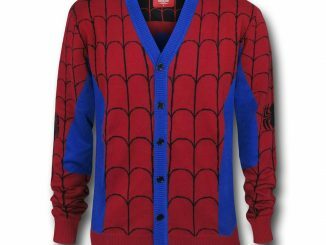 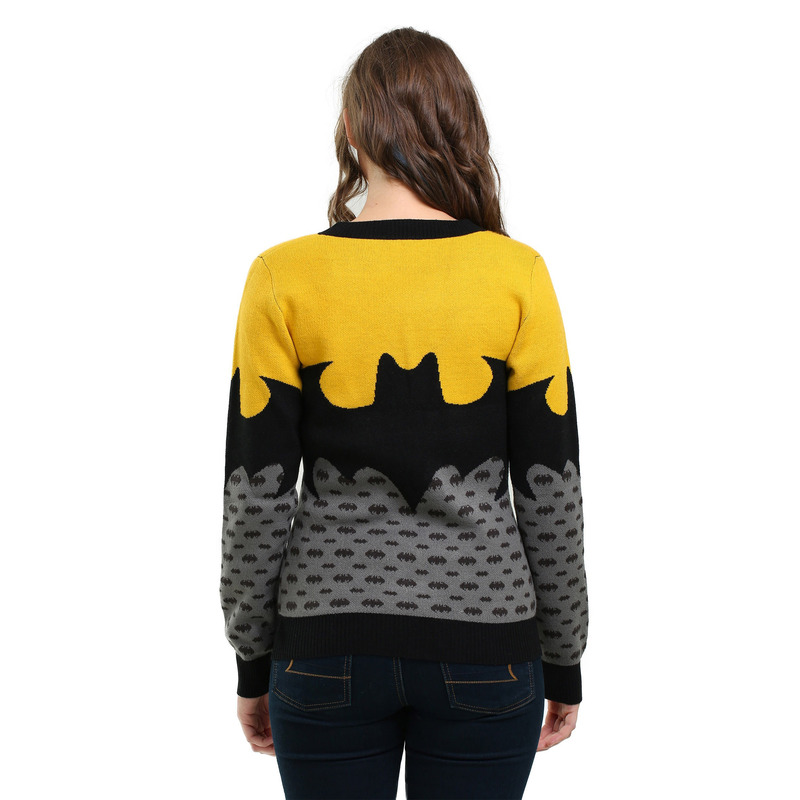 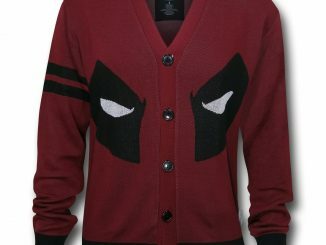 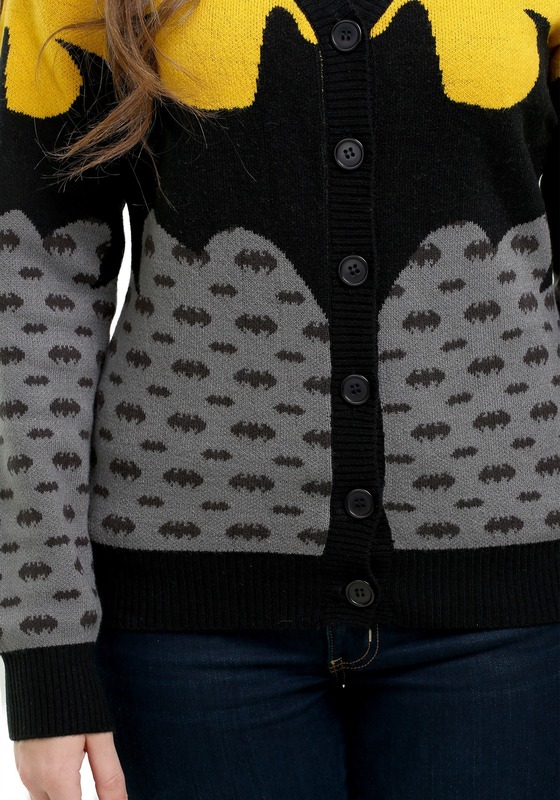 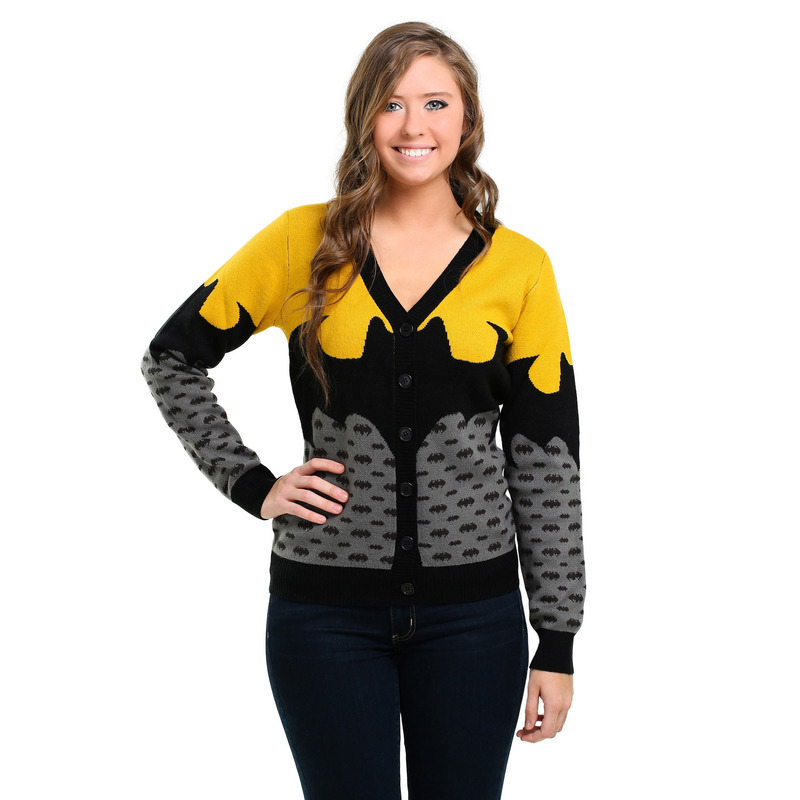 The Batman Cardigan defends your wardrobe against the forces of boredom and lackluster clothing. 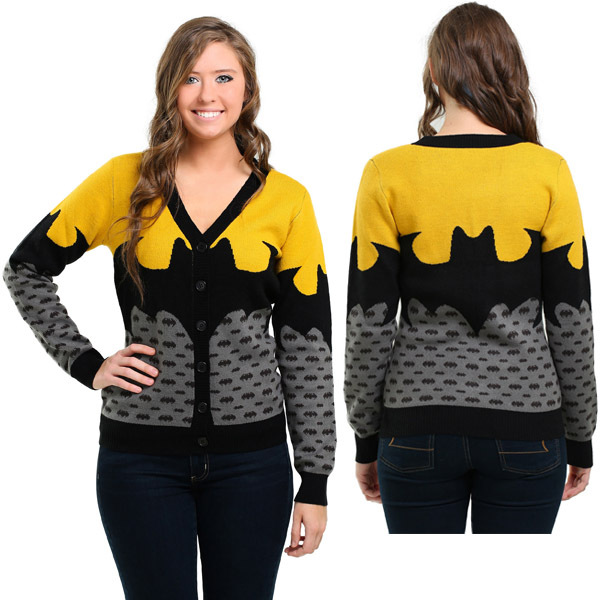 Usually sticking with basic black, the Dark Knight usually isn’t considered a style icon but the same won’t be said about you when you cruise around Gotham City in this 100% acrylic, V-neck cardigan that features a stylish Batman logo on a gold and gray color scheme. 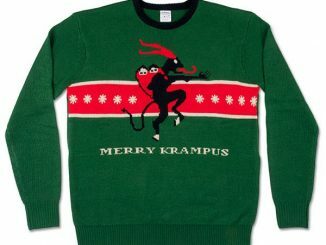 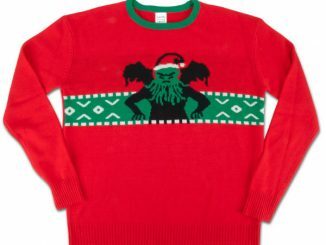 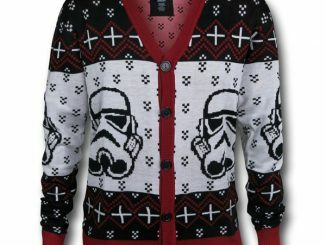 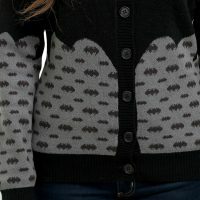 The gray part of the sweater also includes knitted-in large and small bats, and the cuffs and waistband are ribbed for a snug fit. 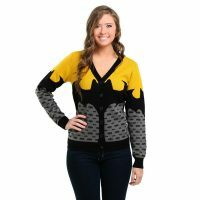 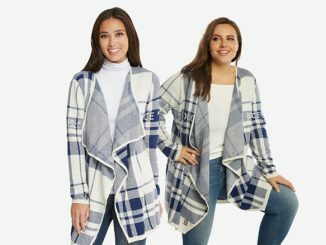 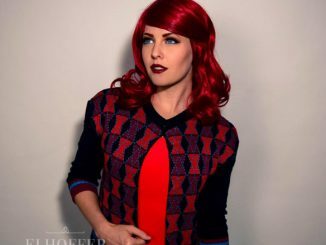 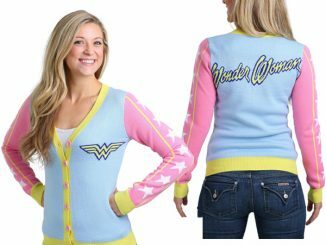 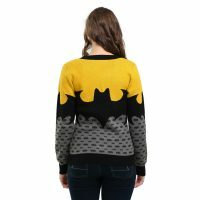 The Batman Cardigan is available for $48.99 at Fun.com.